When it comes to Photoshop, there are few people who reach the viral status of Patrick Thorendahl, aka Peeje T. He may not have the lifestyle of someone who hobnobs with celebs, but he does have plenty of pictures that make it look like he does. He uses his impressive Photoshop skills and a bit of creativity to put himself into celebrity photos, making some truly hilarious pictures. Admit it, you want to go cruising around in a limo with Beyonce and Jay-Z. Who doesn’t? However, this hilarious Photoshop has Peeje T crashing the party. 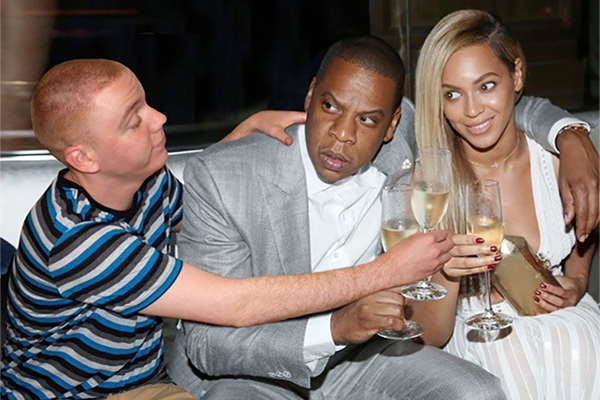 The Photoshop job might not be that great, because no one is buying that hand around the champagne glass, but there is no denying that the look on Jay-Z’s face is perfect for a strange person crashing his limo.